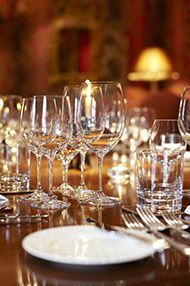 Whether a lavish six-course banquet in our Sussex Cellar or a more intimate affair in the Long Room, we host a range of dinners focusing on wine regions, styles or producers. After a drinks reception and introduction from your host, you will sit down to enjoy a selection of remarkable wines matched with equally impressive food. Our Head Chef Stewart Turner will design a menu to complement the wines you taste, while between each delicious course your expert host will guide you through the wines in front of you, giving you the opportunity to discuss their styles and ask questions. Fridays at Berry Bros. & Rudd are about to be transformed. 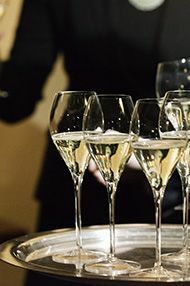 Arrive at our original 17th century shop to enjoy a flute or two of our delicious Grand Cru Champagne made by Mailly. Come armed with your favourite bottles; our team will take them off your hands, ensuring they are at your place setting by the time you descend to our atmospheric candlelit Napoleon Cellar for a relaxing dinner. 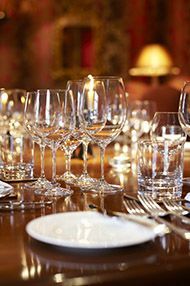 Our amazing Head Chef, Stewart Turner, will treat you to a sensational four-course menu: a starter designed to go with white, a main for red, followed by a decadent cheese board and pudding, alongside which we’ll pour some luscious Sauternes. Once the meal is done and the wines finished, we will parade the empties for a fantastic line-up of the evening’s bottles. Fridays at Berry Bros. & Rudd are about to be transformed. 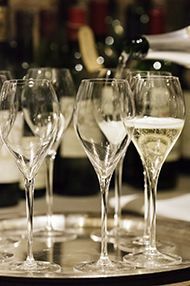 Arrive at our original 17th century shop to enjoy a flute or two of our delicious Grand Cru Champagne made by Mailly. 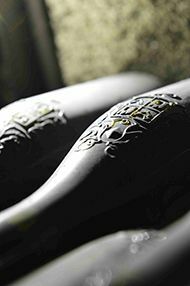 Come armed with your favourite bottles; our team will take them off your hands, ensuring they are at your place setting by the time you descend to our atmospheric candlelit Napoleon Cellar for a relaxing dinner. 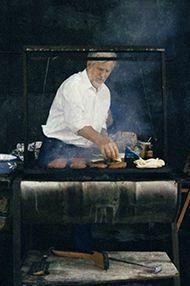 Our amazing Head Chef, Stewart Turner, will treat you to a sensational four-course feast that centres around the catch of the day: a fish starter designed to go with a white wine, a fish main for a white or light red, followed by a decadent cheese board and pudding, alongside which we’ll pour some luscious Sauternes. Once the meal is done and the wines finished, we will parade the empties for a fantastic line-up of the evening’s bottles. Bring your guests to dine in the Napoleon Cellar on Monday evenings, when we hand over the reins to our Head Chef Stewart Turner. 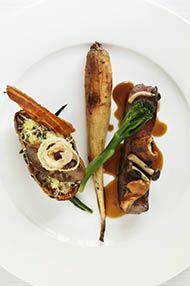 Previously of the Waterside Inn at Bray, Stewart will cook up an absolute storm – preparing a sumptuous three-course dinner, alongside which we will pour our award-winning Own Selection range. 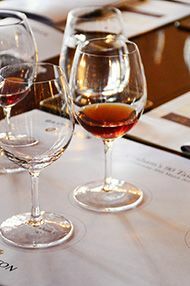 Expect a delicious apéritif in our original 17th century shop, alongside Stewart’s signature (and utterly moreish) gougères, before descending to the atmospheric Napoleon Cellar where a further four wines will be poured alongside Stewart’s menu. NB Wines for this event will be chosen from Berry Bros. & Rudd’s stock at the time of the event, so most will be available to order afterwards. NB Wines for this event will be chosen from Berry Bros. & Rudd’s stocks just before the time of the event, so most will be available to order following the event. Inspired by the freshest produce, our Seasonal Sensation dinners are ingredient-led events that focus on one or two seasonal foods. 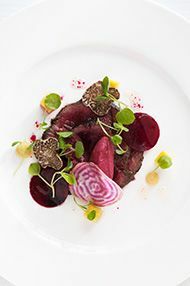 Our Head Chef Stewart Turner has created a fantastic four-course tasting menu, carefully paired with wines chosen by your host, for what promises to be a truly indulgent, gourmet evening. 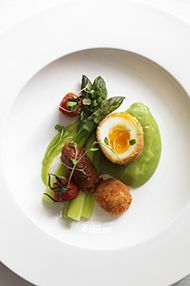 Tonight’s focus will be British green asparagus, giving you the chance to immerse yourself in a meal based around this seasonal delight. While notoriously difficult to pair with wine, your host will select a mix of both classic and more unusual wines to complement your asparagus-themed menu. Hosted by Isabella Cameron, Fine Wine Specialist. This evening we step back from wine regions to instead consider why certain foods and wines work together so well (and which combinations are less effective). Our five-course menu will include delicate fish, spicy dishes, a robust beef course, plus a selection of different cheeses and dessert. 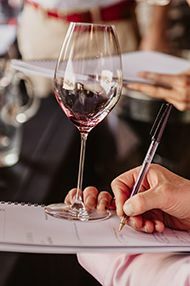 This will give us the opportunity to explore the key principles of food and wine matching, looking at the effect of salt, sweet, acidity, bitterness and umami on wine. We will also consider ideas such as weight and texture, and the effect of spice as well. For those wanting a thorough introduction into what wine to pair with what food, this is the perfect evening – bring your appetite. Hosted by Barbara Drew MW, Wine & Spirits Education Specialist. Explore an eclectic mix of food-friendly wines over a fun three-course meal of larger plates inspired by the South American food scene. 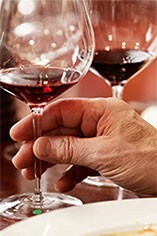 Through the meal, we will mix and match different wines, discussing which pair best with the different dishes and why. Hosted by Felipe Carvallo, Wine Education Specialist. Your host for this evening, Demetri Walters MW, has a real interest in wines which have a deep sense of history, and which come from the more unusual – yet often extremely historic – wine regions of the world. As his wine selection suggests, this promises to be a fascinating evening. Hosted by Demetri Walters MW, Wine Educator & Presenter. NB Wines for this event have been chosen from Berry Bros. & Rudd’s historic stock and may not be available to order following the event. If the mainstream doesn’t quite cut it for you, then join Demetri Walters MW on a voyage of vinous discovery as he seeks to unearth the out-of-fashion, the little-understood, the antiquated and the downright obscure. 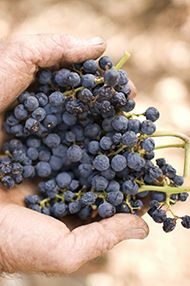 Together we will seek inspiration and delight amongst regions yet to hit the limelight; we will sample the results of human endeavour and enjoy the most authentic of wine styles. It promises to be an enlightening evening. Hosted by Demetri Walters MW, Wine Educator & Presenter. 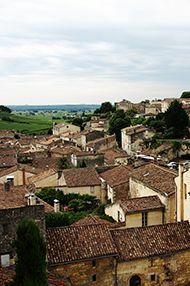 Your host Demetri will be your guide as you explore the climatic, physical and human influences that create the differences between French wines and their new world counterparts. 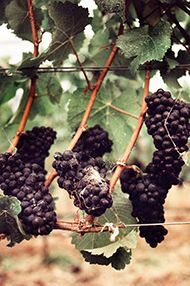 Five different vinous pairings will help bring these ideas to life. Hosted by Demetri Walters MW, Wine Educator & Presenter. 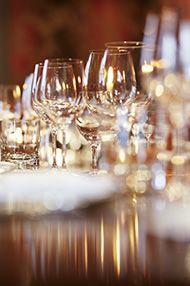 Join the charismatic wine personality Joe Fattorini to uncover how restaurant wine lists are put together. Whether you need to know what to order for your business lunch or how to impress on date night, tonight will be enormously helpful. 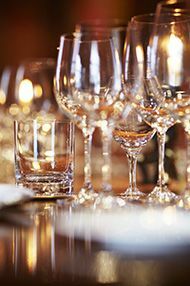 During a delicious dinner, Joe will share tips on getting the most out of your wine choices as well as entertaining you with anecdotes and stories along the way. Hosted by Joe Fattorini, Fine Wine Specialist. The humble vegetable is all too often limited to a side: tonight, however, vegetables will be taking centre-stage with a four-course feast designed to celebrate everything that can be grown in the ground. 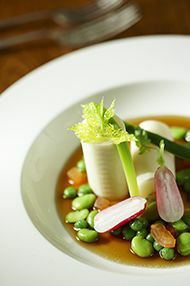 Our Head Chef Stewart Turner will create a menu inspired by vegetables, legumes and dairy, designed to prove that meat needn’t be the star of the show. The wines, carefully chosen by your host Olivia Bodle, cover a range of styles – both white and red, from the Old World and the New. Hosted by Olivia Bodle, Fine Wine Specialist. 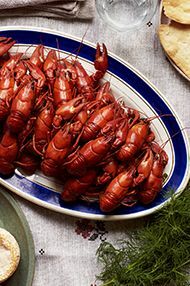 This evening we are celebrating all things lobster. Our creative Head Chef Stewart Turner will design a menu of three courses, all using lobster as the star ingredient, before we finish with a refreshing fruit pudding. 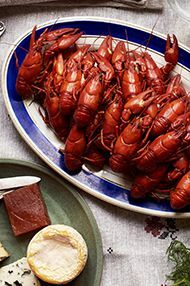 Each lobster course will be accompanied by two wines, some will be classic accompaniments to shellfish, while some will be more unusual. It promises to be a fun and unique event. Hosted by Don Shannon, Fine Wine Specialist . 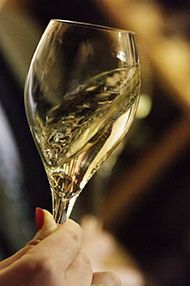 Your host Edwin Dublin knows everything that there is to know about Champagne, and is full interesting snippets that elucidate and explain the region and its wines. Join us for a Champagne dinner around the Long Room Table for more of Edwin’s Champagne facts, fables and fiction. 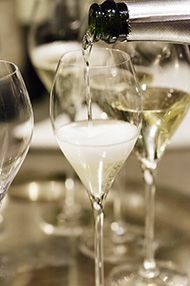 He will have a livery of seven very smart Champagnes to illustrate each point over our four-course dinner. Hosted by Edwin Dublin, Fine Wine Specialist. NB Wines for this event have been chosen from Berry Bros. & Rudd’s historic stocks and may not be available to order following the event. 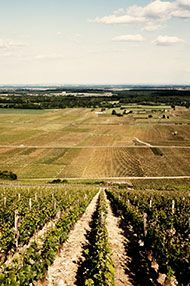 Besides laying claim to being France’s largest vineyard area, and home to more large wine estates than anywhere else in the country, Bordeaux also produces a larger share of the world’s most expensive wines than anywhere else. As you would expect, top-drawer Bordeaux represents the absolute apogee of production and tonight will be a wonderful chance to indulge in some very serious wine. Hosted by Demetri Walters MW, Wine Educator & Presenter. Join your host Demetri Walters MW for an evening dedicated to a selection of celebrated reds from around the world. Our Head Chef Stewart Turner has created a fantastic four-course tasting menu – designed to perfectly partner the wines chosen by Demetri. With some of the finest reds from Burgundy, the Barossa and everywhere between the two, it promises to be a truly indulgent evening. Hosted by Demetri Walters MW, Wine Educator & Presenter. Join us at our bi-annual Tour de Burgundy Dinner. After a refreshing glass of Crémant de Bourgogne in our 17th-century shop, your host will lead you down to our candlelit Napoleon Cellar. The first of four courses will be Burgundian-inspired to accompany the greatest Grand Crus Chablis, Les Clos and another Grand Cru from Corton Charlemagne. Following on from this will be an interesting contrast between Chambolle-Musigny and Volnay for the second course, both renowned for their delicacy and layers of fragrance. 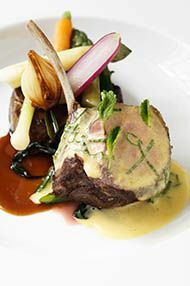 The main course will accompany a pair of Grands Crus: Clos de Bèze from Gevrey-Chambertin and Clos de Vougeot. We will finish with an aged Grand Crus Clos-St Denis from 1978. Hosted by Felipe Carvallo, Wine & Spirit Education Specialist. If you are planning a special event or celebration this summer, then – for a limited selection of dates – our beautiful Long Room is available to hire for private dinners for up to 14 guests, at a special rate. 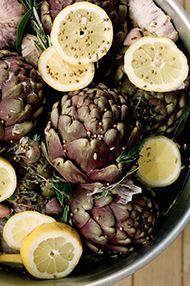 Together with our events team, we will plan a delicious menu designed to suit your occasion. To ensure you have the right wines to match your food, you can either draw on your own Berry Bros. & Rudd reserves, purchase wines from our list at retail price or bring in other wines for a corkage fee. Menus start at £65 per person; room hire is £495 (inc VAT); corkage is £25 a bottle. Please note, timings for private events are fixed. This Lucky Dip event, the finale of our Wine School season, is now in its sixth year. 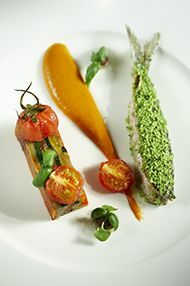 The evening comprises a four-course dinner (starter, second course, main course and cheese), with each course accompanied by a flight of three wines. Some wines will be incredibly famous, while others may fly under most radars. Most importantly, you can expect some very special treats and some surprises – from mature Classed Growth Bordeaux to more esoteric bottles. For those who wish to, there is the option of tasting blind while the rest of us enjoy the descriptions knowing what the wines are. Hosted by Rebecca Lamont, Head of Wine School. 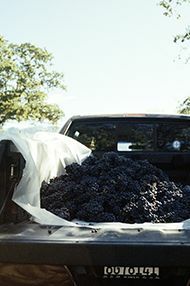 Ridge Vineyards is one of the New World’s most iconic producers. At this intimate dinner in our Long Room, your host and California enthusiast Sophie Thorpe will guide you through a selection of the producer’s wines while sharing a little of the estate’s history – from its beginnings as a hippy commune, via the arrival of Paul Draper and its success at the Judgement of Paris, right through to today. You’ll have the chance to taste Ridge’s outstanding Chardonnays, before tasting a flight of rare, mature vintages of its red field blends – building up to two vintages of its flagship cuvée: Monte Bello. Hosted by Sophie Thorpe, Fine Wine Specialist. NB Wines for this event have been chosen from Berry Bros. & Rudd and the producer’s historic stock and may not be available to order following the event. NB Spirits for this event will be chosen from Berry Bros. & Rudd’s stocks just before the time of the event, so most will be available to order following the event.